I have suffered from migraines and headaches for as long as I can remember. When I was a kid I would get dizzy and see stars when I stood up too fast. After puberty hit I would see those stars and then a couple hours later be in full blown migraine mode, laying in a dark room with a pillow over my head taking little sips of water and a lot of ibuprofen. I still get headaches now and then, especially during stressful times, but I have figured out how to deal with most of the migraines. The best way? Get to them before they get to you. Any migraine survivor will tell you to figure out your triggers because once your head starts to hurt, you’re too late to stop it from coming. Let’s talk about headaches and migraines: what are they, what causes them, and how can we get them to lay off? What's the Difference Between a Headache and a Migraine? There are two main classifications of headaches, and a lot of the sub categories within those classifications. Which one are you getting most often? Vascular headaches are caused by the dilation of blood vessels. These are the hangover headaches, the sugar pains, the brain freezes. These come about when your body is having cravings that you won’t give it – like caffeine – and are connected with your gut health. 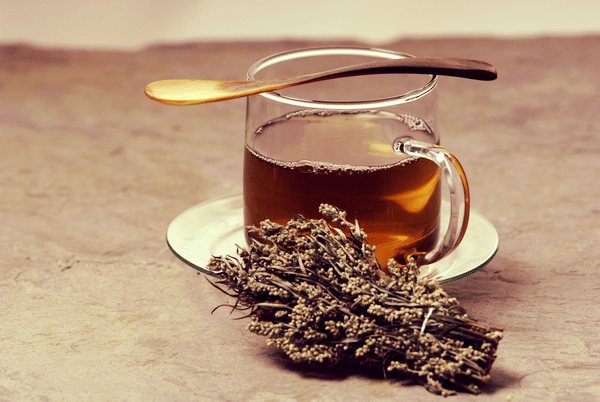 Drink tea, eat soup, and try to figure out what you might be sensitive to in your diet. These types of head aches are caused by muscle spasms in your upper body. While it’s true that most people with recurrent headaches have muscular issues in their upper body, these are the kind that you get when you’re stressed, when you’ve worked out too hard and your muscles are tense or when you stay up all night to cram for that exam (or power-watching Netflix) and you’ve been straining your eyes and your neck muscles for hours. The spasms constrict blood flow at the base of the brain, which reduces blood flow and oxygen to the brain. To compensate for that, arteries in the brain open up and that triggers all sorts of chemicals to be released. You're essentially going into survival mode. And some of those chemicals increase your sensitivity to pain. For both headaches and migraines the most common triggers are stress and fatigue, food allergies, and smoking or breathing polluted/stuffy air. This means you have to relax, eat good food, and breathe fresh air- sounds like a weekly picnic to me. If you have headaches or migraines, some foods you might want to keep track of are things like alcohol, processed sugars, dairy, chocolate (sad but true), nuts, eggs, and wheat. See if you can eliminate these from your diet one by one and if that helps. Headaches can also be caused by emotions, change in the weather, change in sleep, caffeine (more accurately, lack of caffeine when your body expects it), and blood clots. Chances are, if you get a headache you know what it’s from. If you’re having a lot of headaches that you can’t figure out, watch your diet and go see a naturopathic doctor. Migraines can be more serious and it is important to understand the causes. While it could be that you’re sensitive to a smell or a flickering light, they can also be caused by issues with the liver, hormone levels (usually high estrogenic levels), and structural factors like misalignment in the spine or the cranium. The first thing I ask when someone tells me that they have a headache is, “How much water have you had today and yesterday?” It’s real folks. Drinking enough water can stave off a lot of the issues that we see in our society today, including headaches. Your initial plan of attack when you think you feel a headache coming on should be to run to your water cooler and drink a tall glass of it, at room temperature. Then drink another one. It can stop a headache or a migraine in its tracks because our brains are made of 80% water. When we’re dehydrated our brains pull away from our skulls, that tells our pain receptors to go off, and wha-bam! A headache is born. This might sound obvious, but it might not. Are you getting enough sleep? Are you getting too much sleep? If you answered “no” or “I don’t know” to those questions, you probably need to regulate your sleep patterns. Most people don’t sleep enough for their cycle. I personally do my best with 9 hours, but I usually get only get seven and a half (which is also okay). Try to time your sleep with your REM cycles so that your alarm isn’t going off in the middle of a cycle. Sleeping is the part of your day when your body gets to rejuvenate. If you’re not sleeping, you’re not healing. I’m still working on my perfect herbal headache remedy for my first aid kit, but I’ll let you in on a few of the herbs that I’m really excited about for this herbal remedy. A lot of people will take a tincture for a headache, but I often just drink tea because I know I can use the extra hydration. Steep the herbs with very hot water – you can also boil them for about 10 minutes as with Chinese custom, but I have found that a 10 minute steep with almost boiling water is sufficient. Note: I typically only use skullcap and mugwort in my tea because I’m very sensitive to smell when my head hurts and hedge nettle and valerian both can push me over the top a little bit. Another note: Turmeric, internally, is a wonderful anti-inflammatory and should be eaten as often as possible. Because it is fat soluble, just making a tea with it isn’t going to pull out all the benefits. I like it with coconut oil. Disclaimer: This information is supplemental and is not to be used in place of medical advice. If you’re reading through the internet for remedies for headaches and migraines that you’re having, go get some sleep. When you wake up, schedule an appointment with a holistic practitioner. Headaches are serious business. What do you do when you feel a headache coming on? Night Shades (including night shade spices i.e. paprika, cumin, chilli powder, curry) are a HUGE trigger for me. Barometric pressure is my other one. Peppermint oil offers great temporary relief. I sniff it and run on my temples, back of neck and between my thumb and forefinger. Ginger tea, raw, and capsules also help. Migraines are not caused By restriction of blood to the brain. It’s caused By the brain flooding with blood first unknown reasons causing Great pressure with in the brain. The circle of Willis is one the reasons this happens. I’m a chronic migrainer and I have to take blood restrictors To relieve the pressure during episodes and attacks. imetrex the migraine pill restricts blood flow so we with migraines can functio. Great article, thank you 🙂 I have a rather weird “fix” for my migraines, and it was by accident…..sparing you the details of how I discovered this — I get the ocular kind of migraines, nearly getting blind in one eye and having those light flashes all around, that ‘aura’ thing…..either remedy works for me: a handful of jelly belly jelly beans, or a heaping tablespoon of brown sugar. I swear, within, roughly, 7 minutes or so, the migraine starts vanishing, the lights stop, aura is gone, and the pounding & blindness go away. Why does this work?? I have no idea. Hi Diane. I’m glad you liked the article! You know, with your headaches that seem to be cured by sugar, it might be a good idea to talk to a naturopath about it. They might be able to tell you a bit about what’s going on and why that’s happening. Thank you for this! Water is crucial for me – and I like to put about a teaspoon of very good quality sea salt in my water. I’m sure someone knows the science but it nips most headaches for me in the bud. I find when I get a migraine it means 2 things – I need to see the chiropractor, and I need to take better care of myself. Time for a nap on the couch and checking out of life for the day. Hi Carmen! That’s a good tip! A lot of times we think of salt as something we should be avoiding, but it is super important. I might try this! This is great! Salt helps to replenish our electrolytes! Migraines are often a sign of fluid imbalance in the body and our kidneys regulate both the fluids and electrolytes so this migraine ‘cure’ definitely makes sense! I used to have migraines regularly. I eventually stopped having them when I gave up coffee and sugar, especially taken at one time as in a desert with a cup of coffee. I also found out that laying down made the blood pound even worse in the head, so I started propping myself up in a recliner with lots of pillows. If you don’t have a recliner, you could even prop yourself up on your bed with lots of pillows. I hope this helps someone. Migraines are almost like having someone cutting your scalp open and firing a blowtorch into the brain. Thank you for the information. I used to have a lot of headaches until I went on the Body Ecology Diet. As a matter of fact I found out about your products from a CD I bought from Donna Gates where you were one of her guests. I love the products you have. Looking forward to the cosmetic line.